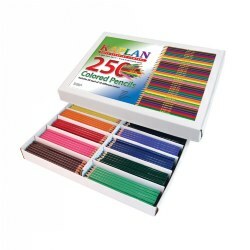 Children can draw bold or fine lines with our long-lasting tapered tip color markers. Corrugated storage box contains 200 markers (25 of each color), in sets of 8 colors: red, yellow, blue, green, brown, black, orange and purple. 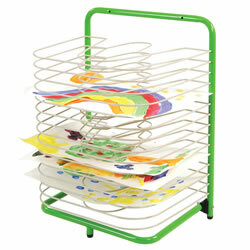 Drying rack mounts to the wall or can be left freestanding. Includes 15 durable shelves. Meaures 24"'H x 17 3/4"W x 14"D. Assembly required. 3 years & up. This art easel is like having two easels in one! 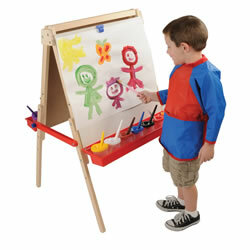 Wooden easel frame has two 24" x 24" dry erase boards on each side and two plastic trays. Boards adjust on legs from 36" to 48"H. Assembly required. Cups and brushes are sold separately. 3 years & up. Shape it! Sand acts and feels like wet beach sand but it never dries out. 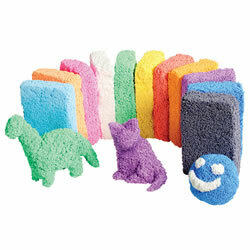 Great for building fine motor skills, creative exploration and sand sculptures. 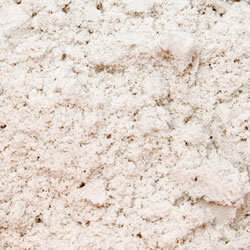 It is gluten-free, dust-free and allergen-free. Can be sanitized, simply pick out foreign debris, spread it out, mist with sanitzer, and allow to air dry. 20 lbs. Shape it! Sand Satellite White. 3 - 5 years. 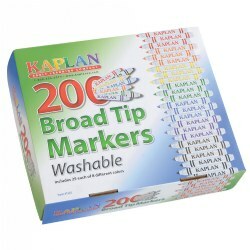 Kaplan economical, easy-glide crayons have bold, no smear colors. 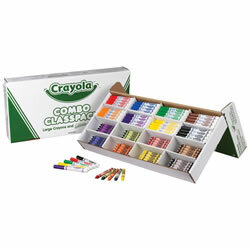 This large size set has 400 crayons, 50 of each color in a class share corrugated storage box. 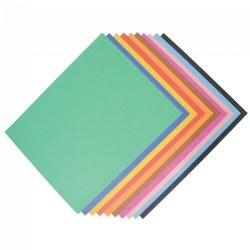 4 ply, 22" x 28" poster board in ten bright assorted colors, 100 sheets per pack. Colors are Dark Blue, Brown, Yellow, Red, Orange, Black, Blue, Holiday Green, Pink and Magenta. 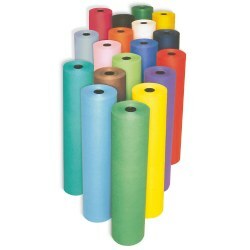 (Includes 10 sheets of each color). 3 years & up. 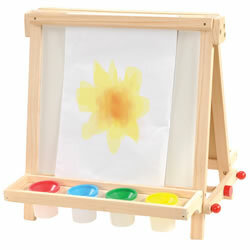 Wooden easel contains 2- 17" x 15" dry erase boards, paint cups, and 12" paper roll. Folds for storage. 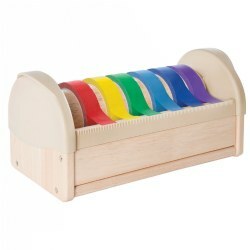 Measures 21"H x 19 1/4"W x 17 1/2"D.
A perfect pairing of two classroom favorites! The Combo Classpack includes 128 washable broadline markers and 128 large-size crayons each in 8 classic colors--red, yellow, green, blue violet, orange, yellow, brown and black. 16 of each color crayon and marker. AP Certified nontoxic. 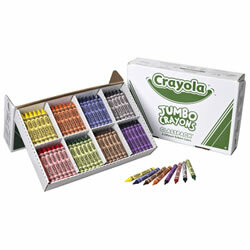 Bright colors, easy blending makes Crayola® crayons a favorite for any classroom. 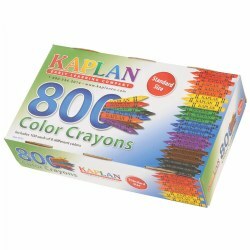 Includes 800 crayons; 50 each of 16 assorted colors: red, blue, green, yellow, orange, violet, brown, black, carnation pink, yellow-orange, red-orange, red-violet, blue-violet, blue-green, yellow-green, white. Comes in a sturdy, compartmentalized packaging box for convenience and storage. AP Certified non-toxic. Made in the USA. Non-toxic and safe. 200 crayons, 25 each color. 4 years & up. 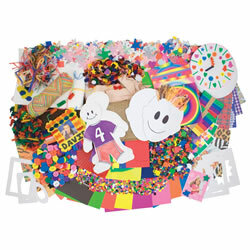 Little artists can't resist this colorful collection of collage materials: buttons, sticky shapes, beads, assorted paper, macaroni, burlap, sponges, felt, craft sticks, mini-frames, yarn, wood shapes, and more. Also includes a teaching guide. 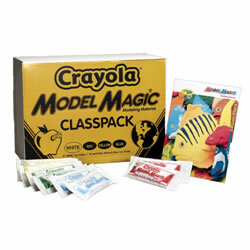 Model Magic Classpack now comes in colors! 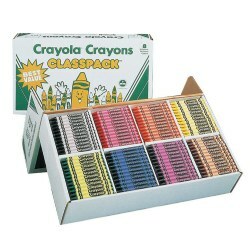 The Classpack of modeling material contains 21 white, 18 each of blue, red and yellow, 75 packs in all. Create 3D art projects, mix new colors or mix part-way to create a marbleized look. 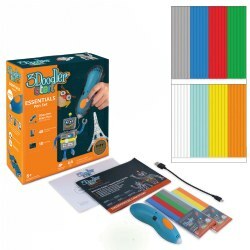 Includes a 6 page classroom lesson plan book. Made in the USA. 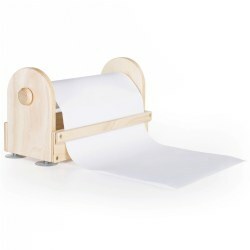 Set this hardwood paper roll on the floor or table for easy access and a huge variety of paper lengths! Has a child-safe cutter and 4 non-slip, non-marking rubber feet. Includes a 300'L x 12"W roll of paper. This Crayola® Crayons Class Pack features a variety of bright, easy to blend colors that makes an ideal classroom essential. Colors include red, blue, green, yellow, orange, violet, brown, and black. 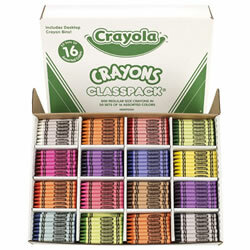 Crayons come in a sturdy, compartmentalized packaging box for convenience and storage. Non-toxic. 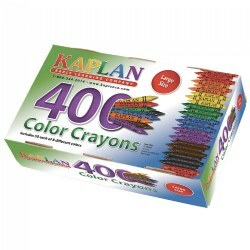 Included: 400 regular size crayons (50 of each color). 3 years & up. This large assortment of washable fine tip markers includes 25 each of following colors: red, orange, yellow, green, blue, violet, brown, and black. 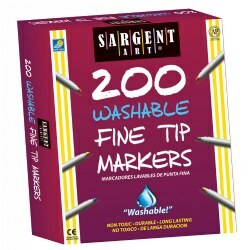 The marker features a quality felt tip, vented cap and long lasting color, along with a sturdy box for storage. Conforms to ASTM D 4236. Lightweight Duo™-Finish® kraft paper has two unique sides. The smooth side is ideal for felt pen, finger painting, and fine line drawing. The other side is "toothy" and handles chalk, tempera, watercolor, and acrylic paints. 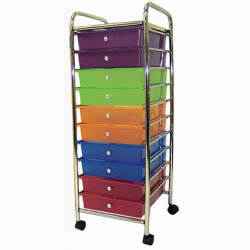 Rolls are individually cartoned and fit standard rack dispensers. Rolls measure 36"W x 1000"L. Choose color. 3 years & up. Dip and dab, roll and paint and experiment with different textures creating original artwork every time. 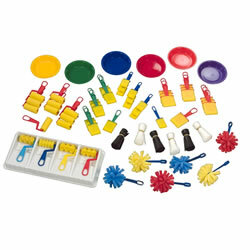 Kit includes 10 each of 3 sizes of brushes, 12 plain rollers, 6 patterned rollers, 6 floppy brushes, 6 bowls and 2 plastic paint trays with 4 angled wells.